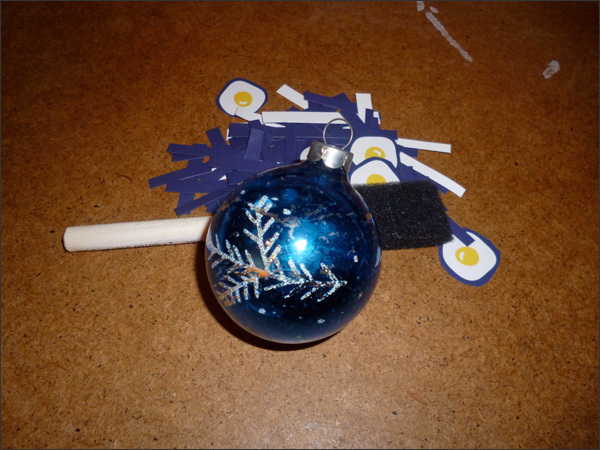 Tomorrow is the Xmas Upcycling Workshop... I'm a bit nervous! Hopefully I have some fun projects to share with everyone! I think we'll focus on painting or decoupaging ornaments, making ornaments using felted wool and junky jewelry or even stitch together some Xmas stockings. 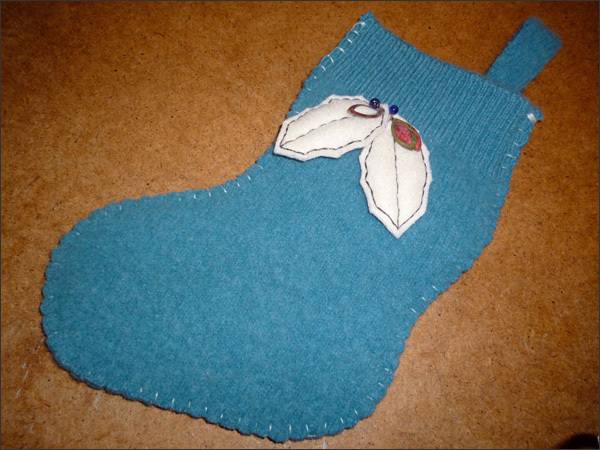 Speaking of Xmas stockings, I finished up my upcycled wool sweater stocking. I figured out a way to add the upcycled junky jewelry. 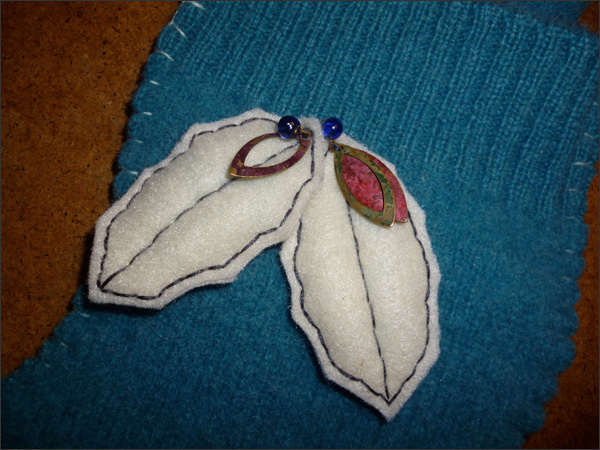 I stitched up the holly leaves then added the jewelry as an ascent. 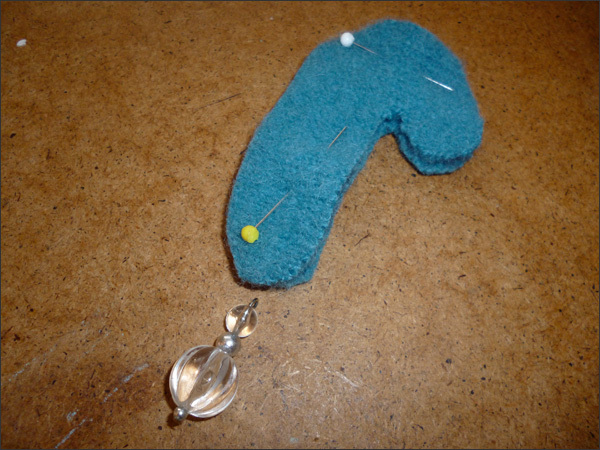 I then made mini ornaments out of the felted wool sweater using my cookie cutters for a pattern. I also wanted to use some upcycled jewelry. 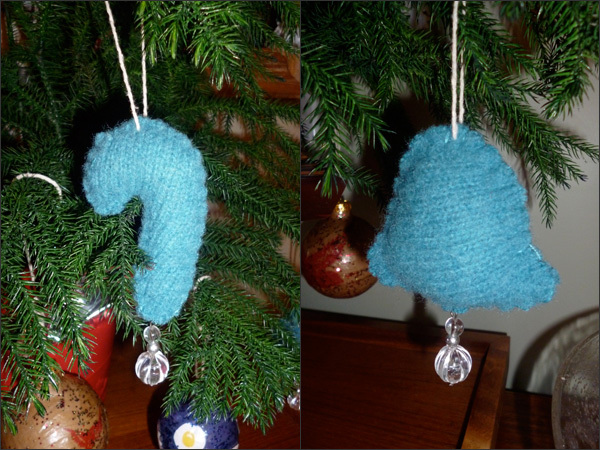 Here are the two ornaments I made using the felted wool sweater and some old earrings. 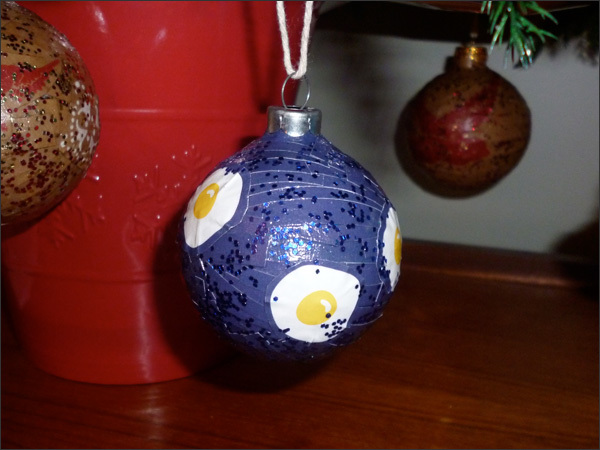 I decided to decoupage a Xmas ornament using a sheet of paper from the book I picked up at the Salvation Army this week. 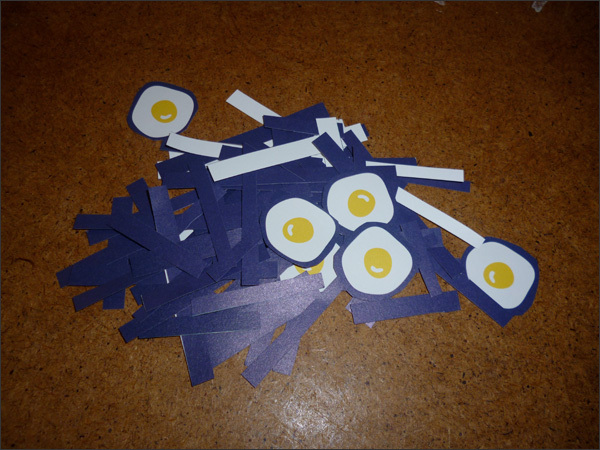 I cut the sheet up into strips then cut out the fried eggs. 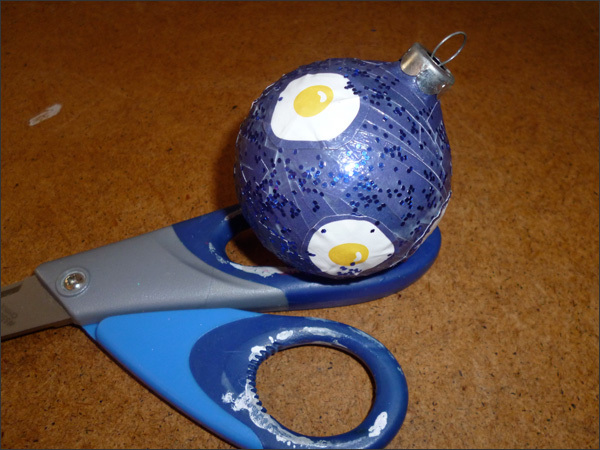 Yes I wanted to create a fried egg Xmas ornament! Crazy I know. I used one of these old ornaments from the thrift store to update. 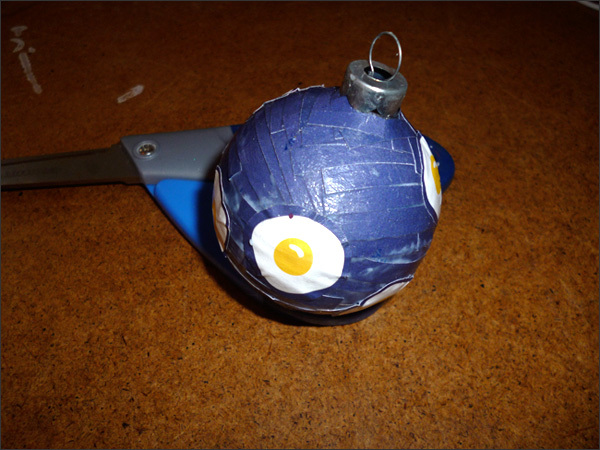 I layered the modge podge and strips of paper then added the cut out fried eggs. I then added a final layer of modge podge with glitter. Here it is - my new favourite ornament. Very non-Xmasy but I love it! Xmas Upcycling Workshop was a success!